The 'Force' is back. And this time, be ready to get blown away by its sheer brilliance. The latest film from the Star Wars franchise is all set to release tomorrow. 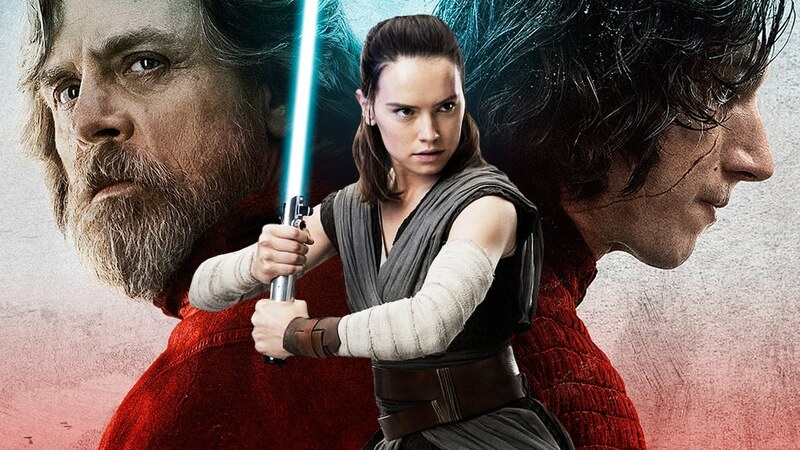 Helmed by Rian Johnson, The Last Jedi is the second film in the sequel trilogy and comes almost two years after the first film - The Force Awakens, was released worldwide. However, Johnson's debut in the Star Wars ' Galaxy' is a bit more superior when compared to it's predecessor in the sequel trilogy. 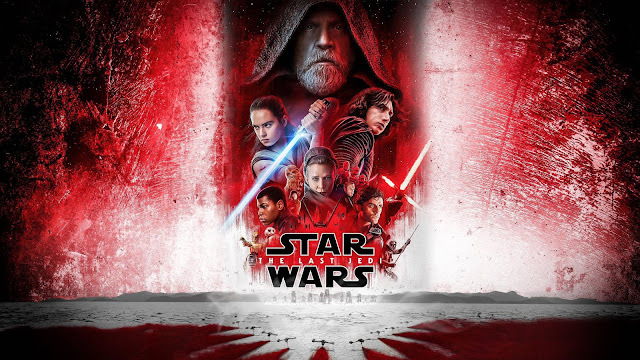 Packed with lots of drama, action, the perfect touch of humour and tons of unpredictable moments; The Last Jedi has it all. But, is it enough to keep you hooked on throughout its running time of 152 minutes? Read on! Discussing the plot in detail may give away too much from the film (and we certainly do not entertain spoilers). 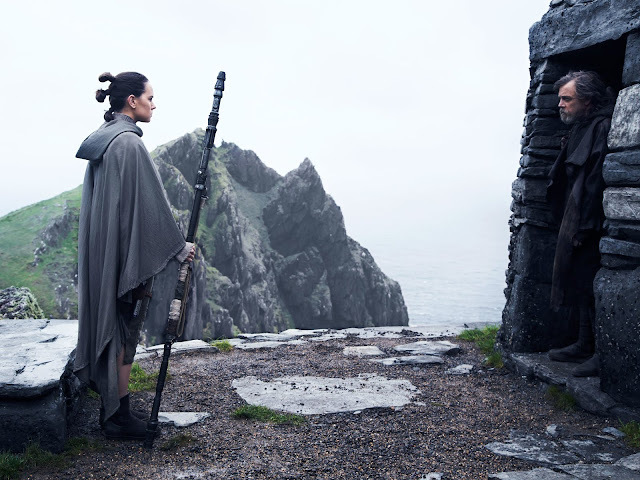 However, The Last Jedi starts off exactly from where The Force Awakens left off. 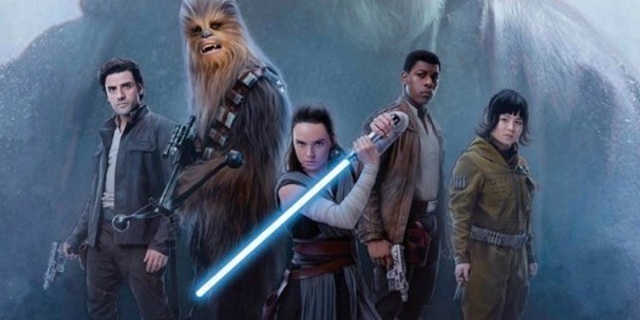 The First Order is ready to launch attacks against the Resistance forces, seeking revenge for destroying their super weapon. Meanwhile, the stories of principal characters like Rey (Daisy Ridley), Kylo (Adam Driver) among others unfold simultaneously. On a faraway planet named Ach-to, Rey comes across Luke Skywalker (Mark Hamill). 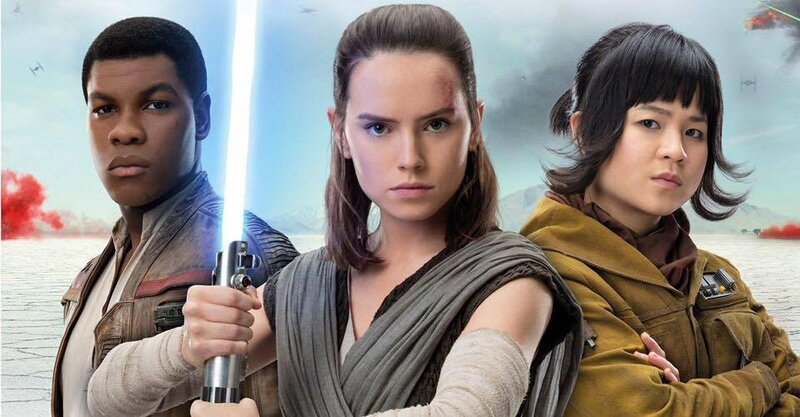 However, a mysterious connection between Rey and Kylo may lead to something unusual. Between the battle of the forces, crisis around the last Jedi looms large. Be prepared for unexpected turns and tides to come your way, that will leave you awestruck and shook. As the battle rages on, we are also introduced to new characters like Rose Tico (Kelly Marie Tran) - a Resistance maintenance worker, who goes on to become an important part of the fight against the dark side. Then, there is DJ (Benicio del Toro) - a rather enigmatic Thief. Finally, there is Vice Admiral Holdo (Laura Dern). Add to that, the good ol' droids and Chewbacca. Each character effectively contributes to the build up towards the film's climax, which will keep you hooked. If these new characters aren't enough, the adorable Porgs are sure to bring up quite a few 'aww-worthy' moments. Ditto the cute new space horses called 'Fathiers'. Beautiful crystal foxes add some magic. Shot across Ireland, Croatia and Bolivia; the team magnificently creates the world of Star Wars in and around some stunning locations. The Last Jedi is visually delightful, with marvellous CGI work. Full points to the action department for some incredible face offs, especially a really cool lightsaber action sequence. Mind blown, for sure! Beyond the wonderful characters, marvellous storytelling and delightful visuals; The Last Jedi explores some really important themes. Right from start to end, the dominant theme of 'Hope' is highlighted during key moments. It brings about the good and bad side of 'Power'. While Johnson deals with an underlying tone of melancholy, betrayal, revenge and anger in the film; he wonderfully balances the same out with courage, resilience and belief. With the introduction of new characters, the film takes an important step towards the future, while keeping it's heart in the rich past. It creates important bonds between the characters, which helps bring out their individual personality really well. Some moments in the film also accentuate the human side of certain characters and their emotions, creating an instant connect. For e.g Kylo Ren's sense of conflict or Rose Tico's act of gratitude for Finn (John Boyega). 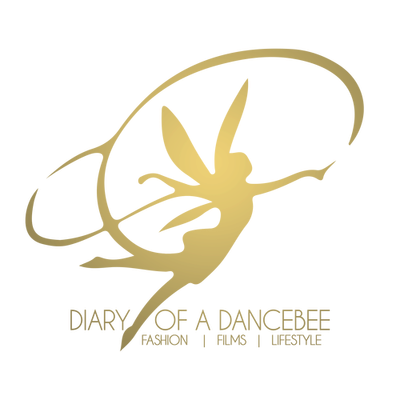 There is a lot more to this film than what you may expect. On the performance front, Driver is simply brilliant! He does complete justice to the menacing, evil and wounded Kylo's inner turmoil, with his excellent act. Ridley's portrayal of toughie Rey is superb. Tran's Rose Tico is refreshing and a welcome new addition. Umm.. Would it sound too cliche if I confess that General Leia's entry turned me a little sentimental? Especially since this is the last time we get to see Late Carrie Fisher essay the role? However, Fisher was flawless as General Leia, and it's tough not to get all emotional while watching a tribute credit roll out in her name. Hamill as Luke Skywalker is fabulous as always. Boyega delivers a fine performance as Finn. Full of surprises and unexpected twists, The Last Jedi moves a step ahead and provides wholesome entertainment. There are very few movies that can create an impact like this film does. The kind that makes you leave a cinema hall with not just with tons of emotions, but also a sense of optimism. A ray of 'Hope' at the end of darkness, all for the future. The beautiful last frame (before credits roll out) is proof. Ah! Princess Leia, you would be so proud. Verdict: Highly recommended! This is one of the best films to come from the Star Wars franchise in a long, long time. Do not miss it for anything!